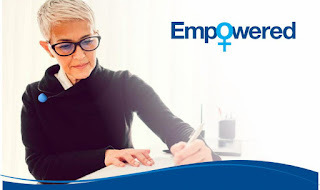 Over half of American women participate in the workforce; women are breadwinners and financial decision-makers; and yet, women are less confident than men in their knowledge of savings strategies for retirement. Women also value recommendations and advice on retirement resources from people they know, whether it’s family members, their friends, or their employer. In contrast, men are more likely to turn to online research. These important distinctions are shared in Empowered, the latest research whitepaper by Midland National Life Insurance Company. Containing results from a survey of hundreds of women, as well as men for comparison, this study examines women’s approaches to selecting a financial professional, communication about finances, perceptions of retirement, and what they value in their relationship with a financial professional. The data reveals that while men and women both care strongly about saving for healthcare expenses as they age, women value saving for certain contingencies that men don’t emphasize to the same degree, notably living expenses and emergencies. For example, when asked to rate the importance of saving for particular items or events, women rated saving for emergencies at nearly 8.5 on a scale of 1-10. Men rated emergencies at just over 8. Midland National conducted this study as a way to better equip agents to serve all their clients, both male and female. By ensuring that agents have knowledge and strategies for reaching female clients, Midland National helps them to implement best practices and help bring peace of mind to their clients. COMMUNICATION PREFERENCES: What types of communication would you like to receive from your financial advisor? For example, agents reported they typically communicate on a yearly basis with clients, but survey respondents said they preferred quarterly communication, and women in particular place importance on touchpoints with their advisor and open communication. In the survey, 57% of women responded that they preferred quarterly communication with their financial professional, and nearly 20% responded they preferred more frequent communication than quarterly. Agents who make it a priority to reach out to their female customers—and also to listen closely to their needs and concerns—can provide better customer service and a more positive experience with the retirement process. To learn more about gender-based differences in retirement approaches, download Empowered. 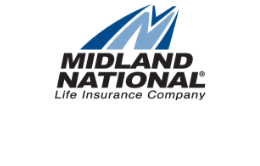 Follow Midland National on LinkedIn for more news on life insurance and annuities.